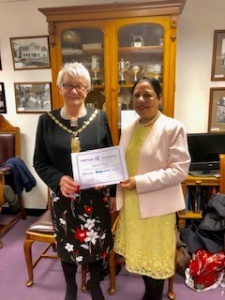 Since 1988 Ethnic Minority Centre has worked tirelessly for to support and promote Racial Harmony in the Black Asian Minority Ethnic Communities in the London Borough of Merton. Explore and learn maths in a fun way. 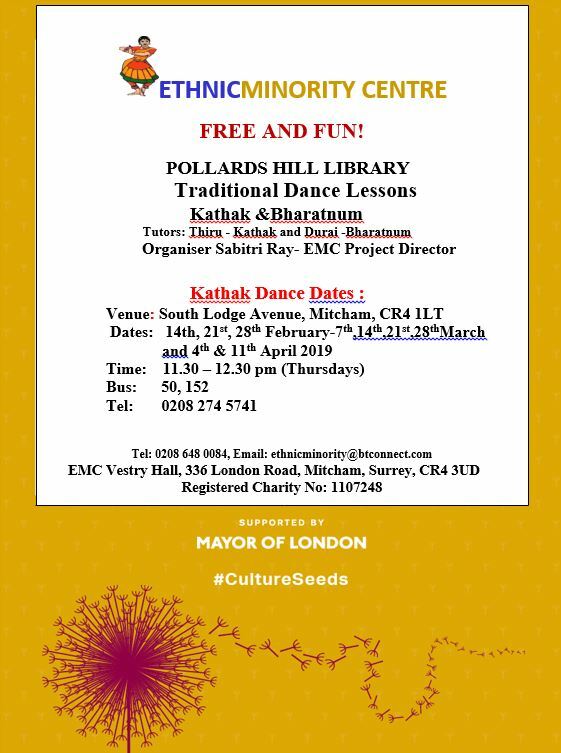 First 6 sessions will be for 8 to 18 years old people. Second 6 sessions will be for 5O+ people. 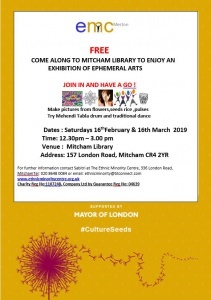 Brought to you in partnership with Mitcham Library & Maths Exploration. 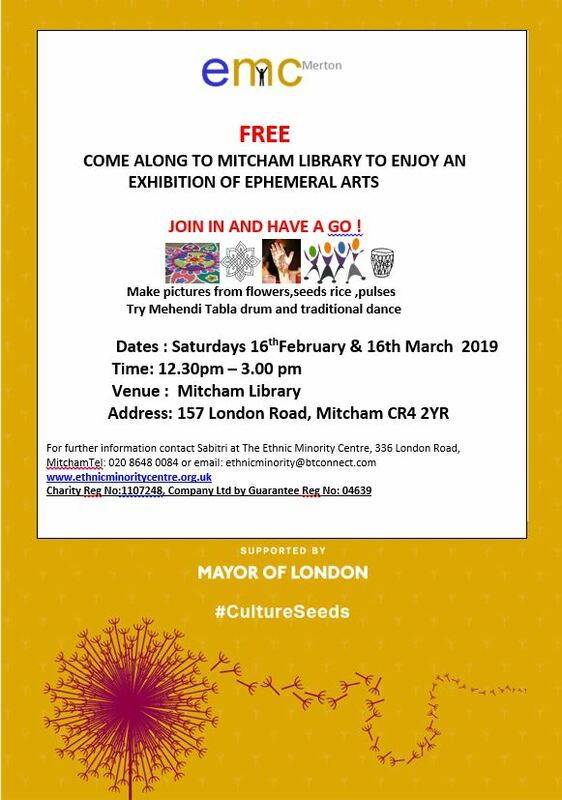 “Launch of EMC’s Feeling Good Club- Empowering and educating Young Mums” in Merton in partnership with St Marks Family Centre Mitcham. EMC strongly believes that by educating just one person in a family especially mother about healthier living you are also helping the other members of that family. We support people by encouraging discussion on common interest issues, offer opportunities for meeting and making new friends, and organise events. We also provide advice and assistance on benefits, health, domestic violence and racial harassment. EMC provides help and support to the victims of Domestic Violence. • EMC maintained 100% confidentiality. • Don’t suffer any more in silence. • EMC members are very committed to deal with any case professionally. • EMC works and refers to highly-trained and appropriate agencies. The EMC was proud to receive and award from BEST(Business & education Succeeding together) at a ceremony in Oct 2018. The event was to celebrate how School students and employers from around the borough have been marking 25 years of successful work experience placements in Wandsworth – which has seen around 25,000 young people getting their first taste of the world of work. 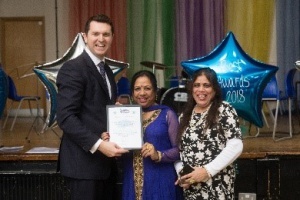 This year’s event was hosted by Ernest Bevin College and was attended by students from Ernest Bevin College, Graveney Academy, Burntwood Academy, Chestnut Grove Academy, and Nightingale Community Academy.The EMC and a large number of employers who have provided work experience were the ceremony. BEST (Business and Education Succeeding Together) is the council’s education and business partnership and works with about 700 employers to give Wandsworth’s young people access to around a thousand work experience placements a year. The awards celebrate the most motivated students and committed employers. Sabitri Ray Project Director & Meena Siddiqui Volunteer represented the EMC at the ceremony.